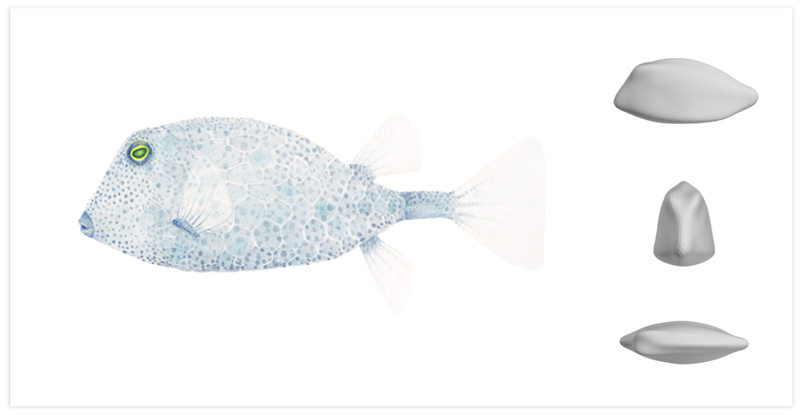 3D scans of extant boxfish specimens were used by the UCLA Alfaro Lab to create a representative sampling of hypothetical boxfishes. 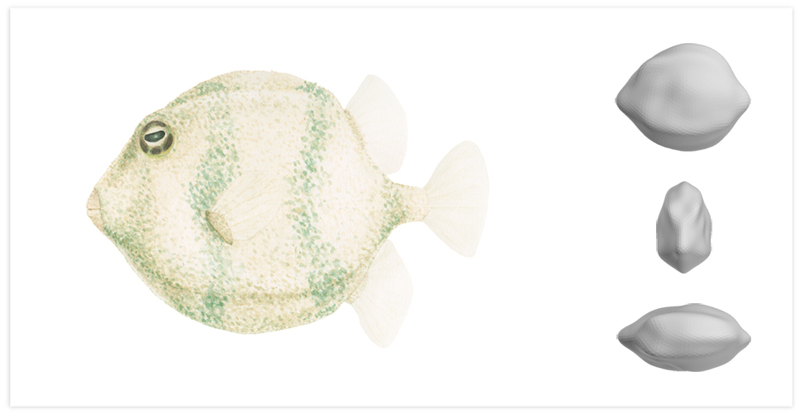 These computer generated models represent boxfishes that may exist, may have existed in the past, or may exist in the future! 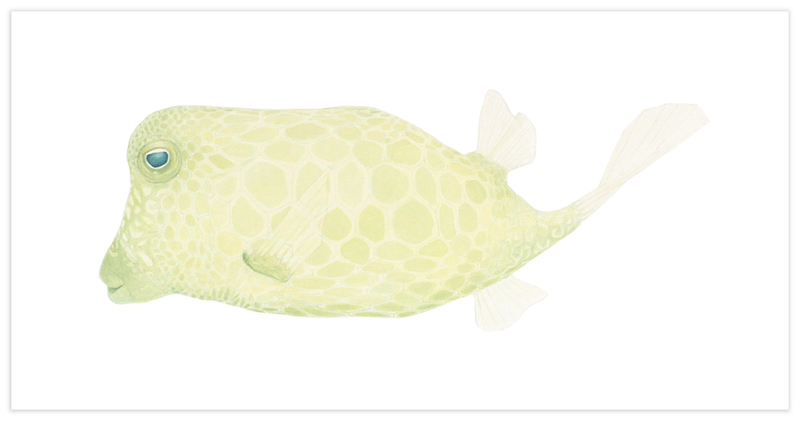 This series of illustrations bring life to these theoretical boxfish.